This piece will not only give your living space some functional storage, but it'll radiate cottage style as well. The piece is constructed of poplar solid and birch veneer in a country white finish. The table top features decorative hand-chiseled groove lines that create a plank-like appearance. As storage goes, you receive two drawers as well as a fixed center shelf perfect for display or placing books and magazines. 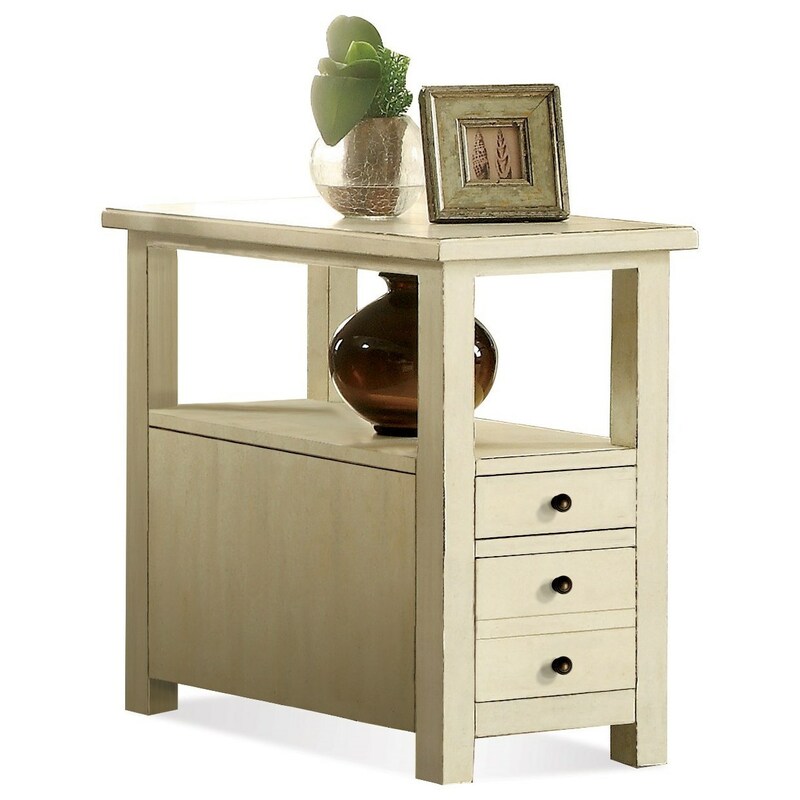 The Sullivan 2 Drawer Chairside Table in Country White Finish by Riverside Furniture at Rooms for Less in the Columbus, Reynoldsburg, Upper Arlington, Westerville Ohio area. Product availability may vary. Contact us for the most current availability on this product. Browse other items in the Sullivan collection from Rooms for Less in the Columbus, Reynoldsburg, Upper Arlington, Westerville Ohio area.